As part of an extensive sustainability programme and after suffering several legacy boiler failures, Royal Grammar School Worcester required a reliable and efficient heating solution across its seven plant rooms. The heritage of Royal Grammar School Worcester means there are certain challenges when incorporating energy efficient technologies within buildings dating back as far as the 19th century. 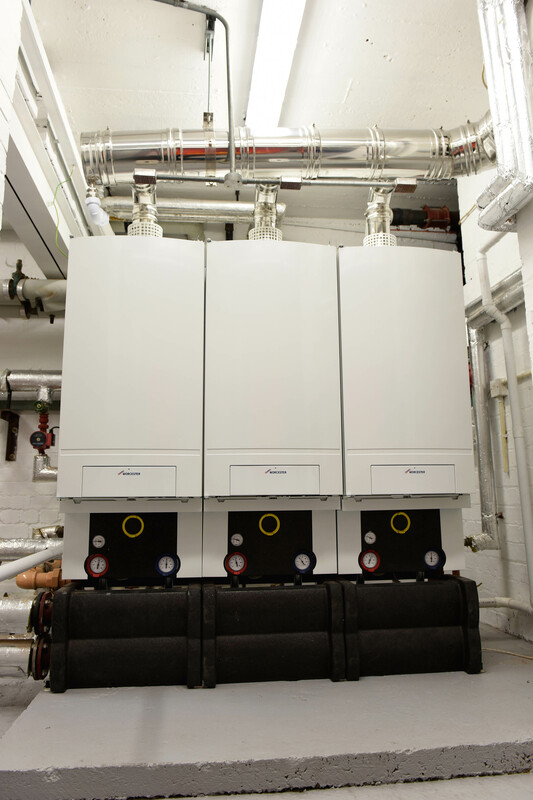 Having opted to enhance its sustainability credentials and replace a poor performing heating system, the school needed to tackle the integration of new boilers across its estate while using its pre-existing pipework. As an added complication, the replacement of the aged heating boilers and systems needed to be completed over the six-week long summer holidays before term time commenced. After two initial boiler breakdowns at the end of 2014, where the school had to rely on electric heaters during term time, Bosch Commercial and Industrial were approached to carry out a review of the estate and identify other areas of risk. Many of the existing boilers were legacy boilers over 15 years old so would be costly to repair, if they could be restored at all, and were not in line with the school’s ambition to improve energy efficiency and future proof its estate. Overall, it was decided that a total of 21 high-efficiency condensing boilers would be installed across seven critical locations, with each plant room presenting its own unique challenges. Bosch Commercial and Industrial recommended its GB162 boiler as its compact dimensions made it especially suitable for the plant rooms, many of which were difficult to access and were restricted in space. Also, the range of outputs available and the option to cascade meant that the school could cater for different heat demands across different areas of the site. With net efficiencies of up to 110% and NOx emissions of less than 40mg/kWh, the GB162 range provides clean, low-carbon heating and hot water. Energy efficiency is a top priority for the school and the GB162’s ability to automatically modulate its output down to less than 20 per cent in order to precisely match the demand for heat, will result in reduced fuel consumption and improved overall seasonal efficiency. One of the key challenges of the project was the old and corroded pipework system, which had the potential to affect the operation and efficiency of any new heating appliances. To overcome this, a plate heat exchanger was installed to provide two elements of protection and to separate the old and new systems. Work commenced on site on 13th July 2015 and was concluded successfully on 21st August 2015. Due to the boilers being fitted in the summer holidays, the school has already experienced its first winter with the new system in place and has seen improved control. The complex nature of the ongoing sustainability project means that the situation remains under review. With plans to replace other legacy equipment on site, upgrade to solar technology, LED lighting and secondary glazing, and to improve insulation, the school is expecting significant energy savings in the long term. For more information on Bosch Commercial and Industrial and its range of products and services, including its comprehensive industrial boiler range, please visit www.bosch-industrial.co.uk or call 0330 123 3004. Alternatively, follow Bosch Commercial and Industrial on Twitter (@BoschHeating_UK) and LinkedIn (Bosch Commercial and Industrial UK). 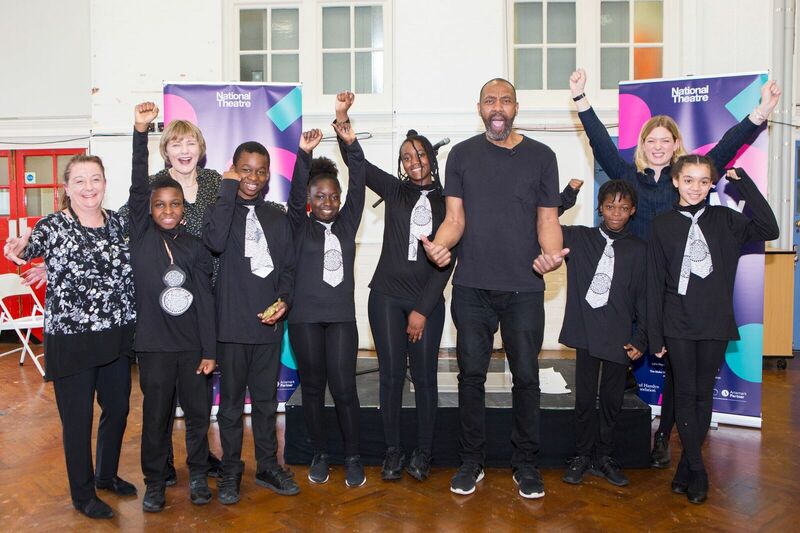 Sir Lenny Henry today launches Let’s Play, a major new initiative supporting the development of drama and theatre in primary schools across the country. Let’s Play commissions exciting new plays with songs and music for children aged 4 to 11 to perform. The programme also provides teachers with high quality training and professional development. This is designed to inspire creative learning across the curriculum and to enable the school to involve children in all aspects of planning and creating a theatre production – from performing to designing costumes to operating sound. The National Theatre is aiming to recruit at least 700 schools across the UK to take part in Let’s Play over the next 3 years. The Commons Select Committee on Education has reported that SATS (standardised assessment tests) and the pressure on schools to compete in national league tables has led to a narrowing of the curriculum with a focus on English and maths at the expense of the arts. All children are entitled to a broad and balanced curriculum with a rich arts and cultural education. Developed by professional theatre artists alongside teachers and senior leaders from primary schools across the country, Let’s Play is an ambitious creative learning programme designed to transform creativity and theatre-making in schools. Using a programme of Continued Professional Development and Learning for teachers, specially commissioned plays for children at Key Stage 1 and 2 to perform, and extensive learning resources, Let’s Play inspires learning across the curriculum. Let’s Play is supported by Paul Hamlyn Foundation and Charlotte and Simon Warshaw.